Have You Seen These Porch Pirates? 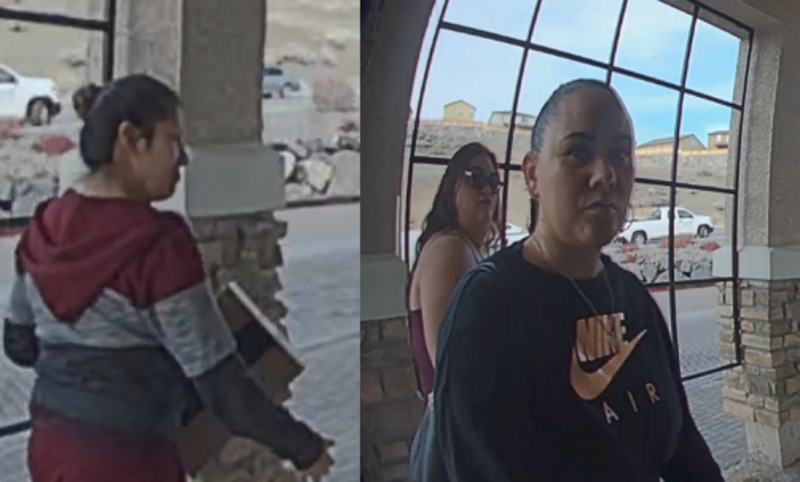 Sparks Police are looking for three women involved in a case of porch piracy. Shortly before 3PM January 30, 2019, the three women seen via a Ring doorbell camera stole a package from the front door of an apartment on Sterling Ridge Circle. Police say it appears they were checking the entire apartment complex for packages and checking for unlocked front doors. Anyone with information is asked to contact Sparks Police at (775) 353-2231 or Secret Witness (775) 322-4900.